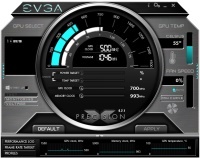 EVGA Precision X – is an all-in-one application that allows user to tweak NVIDIA video cards. Users can customize clockspeed, fanspeed, voltage, temperature and other graphics card aspects with a professional and easy-to-use tool. 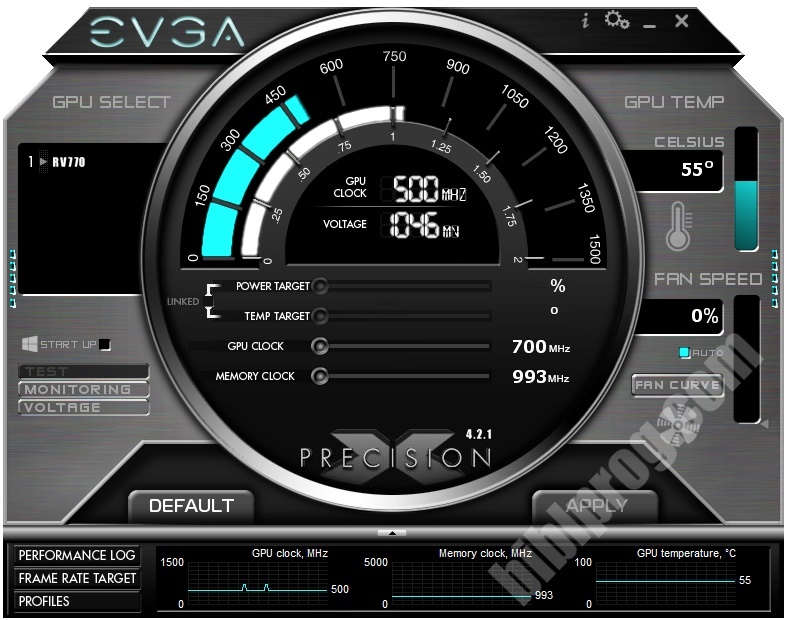 EVGA Precision X is common amongst overclockers and so-called "advanced users" with NIVDIA graphics cards. The utility has many options for thin and detailed tuning of NVIDIA GeForce GTX Titan, GTX 200, GTX 400, GTX500, GTX 600 and GTX 700 graphics processors under OS Windows XP/Vista/7/8. EVGA Precision X supports R320 monitoring drivers and has an updated RivaTuner Statistics Server. - GPU and Memory frequency adjustment for GeForce GTX TITAN/700/600. - Power and temperature target control for GeForce GTX TITAN/700. - GPU Voltage adjustment for GeForce GTX TITAN/700. - Creating up to 10 customized profiles. - Real-time system tray, in-game and Logitech LCD monitoring. - Supports in-game hotkey for taking BMP, JPG and PNG screenshots. - User interface customization using a variety of skins. - Wireless Bluetooth overclocking support using the original Android program. Users should be careful when using EVGA Precision X. Do NOT use the program if you do not know what you are doing.